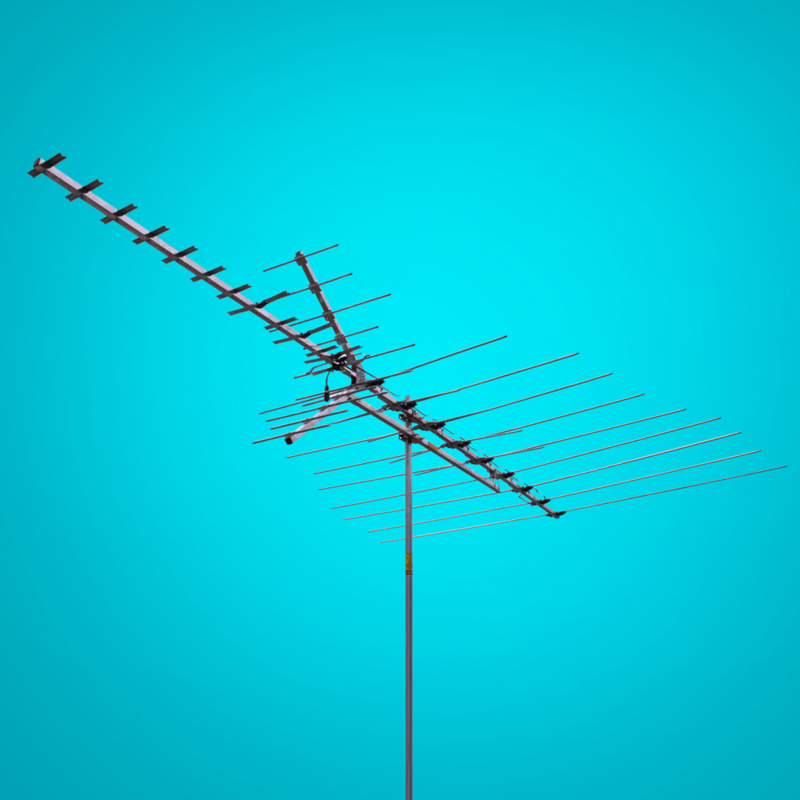 Do you a deep fringe TV antenna that delivers best-in-class performance? Then you need the Xtreme Signal HD8200XL UHF/VHF/FM antenna. It takes a big TV antenna to get the strongest signal, and the HD8200XL is the biggest, strongest outdoor antenna we have. It delivers xtreme high-gain reception of the digital spectrum, as well as HD, FM, and analog FM. IT is great for deep fringe and low-signal areas such as valleys or behind hills and mountains. Traditional TV antennas still reign supreme. If you need the best reception, this long distance antenna is the way to go. It delivers full spectrum VHF reception at 100 miles, and UHF reception at 70+ miles. You also can tune into FM or even HD FM broadcasts (tuner required). The HD8200XL deep fringe antenna is made with quality and performance in mind. It traces its heritage back decades to the pioneering work of U.S. engineers who discovered a way to provide pure performance. This long distance TV antenna installs and aims easily so you can enjoy free HDTV throughout your home. Its directional nature lets you point at one location for broadcast towers, and you’re good to go. With its rugged, durable construction, the HD8200XL is the last antenna you will ever need! The HD8200XL pulls in a tight directional beam of aproximately 60° wide for drawing in signal from the direction you point it. Do you want to know more about the HD8200XL deep fringe antenna? Just call Xtreme Signal at 877-312-4547. We can answer your questions, offer antenna installation advice, and more.